Civil Society Organisations (CSOs) are essential for our democracy to function. However in Ireland we are facing increasing restrictions that limit our ability to engage in democratic activities and to raise funds. The Electoral Act limits the size of Irish donations for ‘political’ purposes and bans donations from international donors. The initial purpose of the law was to prevent foreign interference in elections and referendums – something we all agree with. However, by defining ‘political’ so broadly as to cover any comment on any issue of public policy, the law is now being used to effectively silence the work of civil society organisations and urgently needs to be amended. The gagging effect of the Electoral Act means many important voices are not being heard by decision makers and politicians. There’s a risk that increasingly only the wealthy and those who do not need to seek donations to make their views known will get to have their voices heard. Ireland has been a proud advocate for the role civil society plays defending and promoting democracy and human rights on the international stage. We respectfully call on you to address the problems with the Electoral Act so that civil society in Ireland is free to carry out its own work in defending human rights, deepening democracy and advocating for social justice and equality. Please find here: a) a link to a petition signed by 1226 individual signatories to this letter and b) link to a list of 60 organisations which support Electoral Act reform. Please also find a statement from the Coalition for Civil Society Freedom on why reform is necessary. Our democracy depends on voters being able to present and receive correct information about politics. The State should protect that. The State should also protect people when they work together for the common good. Government should facilitate the participation of community and voluntary organisations in political life, including when they fundraise and including when they lobby politicians. While ICCL welcomes the government initiative to regulate online political advertising, we caution against defining the political so broadly that it impinges on the ability of people who are organised together to advocate for social change. Our democracy depends on voters being able to speak to politicians openly even (in fact especially) when they are organised and working in association. The Coalition for Civil Society Freedom has been actively and loudly campaigning for Electoral Act reform. We will be bringing the People’s Voice campaign to government next. There is an open letter to the Taoiseach which you, as an individual or organisation can sign here. We hope to present this letter to government officials at an expert seminar on 28 November. We are also inviting organisations to join the People’s Voice campaign platform. The more of us who call for Electoral Act reform, the more likely we are to be heard. You can sign up to the platform here. Please do so before Friday 23 November. 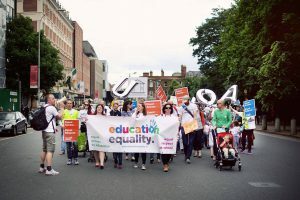 Education Equality were forced to return €5,500 seed funding they received from the Humanist Association. SIPOC threatened them with legal action under the Act, simply for engaging in their normal advocacy work. EQUATE were put under so much pressure following a campaign of complaints against them to SIPOC (who also informed their funder) that it contributed to their decision to wind down. At “The People’s Voice” event we held recently, we heard from other civil society organisations who had similar frightening stories to tell. We heard from Amnesty International on the real and long story behind the case that hit the headlines during the abortion referendum. We ourselves spoke of difficulties we faced when individuals contacted our funders, spuriously claiming we were operating illegally under the Electoral Act. 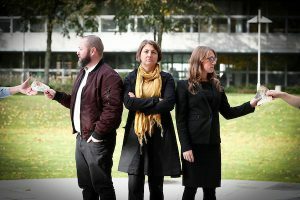 Many more organisations spoke, under condition of anonymity, about their experiences of being threatened with legal action or of reconsidering donations and advocacy work because of the law. The bottom line is: the Electoral Act prohibits civil society from fundraising for our everyday advocacy work. The way in which it is applied is haphazard, but it can be abused by individuals who take issue with some of the more radical work we are engaged in. Organisations working on rights have been particularly targetted up to now, but who knows who it might be in the future? Ivan Cooper is Director of Public Policy with the Wheel. He gave this address calling for reform of the Electoral Act on 6 July 2018. As anyone paying attention to current affairs will be aware, there are very good reasons why we should all be concerned about the issue of outside parties seeking to improperly influence the democratic election processes that we hold dear. However, it is increasingly clear to the coalition of organisations here today (the Irish Council for Civil Liberties, The Wheel, Transparency International Ireland, Front Line Defenders, and Uplift), that the Electoral Act as amended in 2001, designed to prevent improper foreign and political influence over elections in Ireland, is having the effect of muzzling legitimate and important voices in civil society, such as community organisations, non-profits, charities and international NGOs among others. We have seen how Education Equality were ordered by the Standards in Public Offices Commission (SIPO) – who apply the provisions of the Electoral Acts – to return part of a €10,000 seed funding donated by the Humanist Association of Ireland, where the funding was neither “foreign” nor “political”. In response to the growing problem, the coalition of civil society organisations are today calling on the Irish Government to ensure that our international commitments to upholding and protecting civil society voice are reflected in our own domestic laws. In line with this we are calling on Government to remove the donation restrictions in the Electoral Acts on civil society organisations engaging in advocacy outside of elections and referendums to ensure that are no restrictions on funding for civil society actors which undermine the right to freedom of association and civil society voice. We believe that an amendment of the relevant sections of the Electoral Act could be effected by a simple amending bill, or as a part of a wider reforming Bill. We 5 organisations are committed to engaging with Government, and if necessary the Oireachtas, to bring forward amending legislation. We will be contacting relevant Government ministers again on this over coming months. We will be hosting events, seminars and roundtables with civil society over the coming months to build awareness of the need for change in this vital area. In conclusion, we are optimistic that the strong DFAT position and the positive signs we have received from Government and parties mean that an agreed solution can be found. *The Coalition for Civil Society Freedom will host a conference with the EU Fundamental Rights Agency and Civicus on 11 October. For community and voluntary organisations across Ireland, yesterday’s settlement of the court proceedings between Amnesty International Ireland and the Standards in Public Office Commission (SIPOC) brought great relief. At the High Court, SIPOC withdrew its demand for Amnesty to hand back a grant received in 2015 from the Open Society Foundations, conceded that it had treated Amnesty unfairly, and agreed to close its investigation into Amnesty’s human rights work. This outcome is a vindication for Amnesty but the case does provide a clear indication that certain provisions of the Electoral Act are deeply flawed, and raise serious concerns about how the law is applied to civil society by the statutory regulator. Here at ICCL we are aware of cases other than Amnesty’s, where SIPOC’s enforcement of the Electoral Act has shut down civil society advocacy, and where the groups were too small to fight back. At a press conference we held earlier this month, Education Equality, a voluntary group working to reform education policy, told the story of that organisation’s experiences with SIPOC. Having received a starter grant of €10,000 from the Humanist Association of Ireland, Education Equality was informed by SIPOC that its aim of ending of the ‘baptism barrier’ to entry to primary schools was deemed “political” under the Electoral Act. As a result it was forced by SIPOC to return funds received. These are two voluntary organisations trying to contribute to public policy in an open and transparent manner, who were threatened with prosecution for activities that had nothing to do with any election or referendum campaign. The original purpose of the Electoral Act was to prevent inappropriate corporate or foreign funding of candidates and parties. However, the law was poorly drafted and contains an overly broad definition of ‘political purposes’ and the types of activities to be covered by the funding rules. The definition includes not just electoral campaigning but also all efforts at “promoting or procuring a particular outcome in relation to a policy or policies or functions of the Government or any public authority”. In plain language, that means that the rules apply to any effort to take part in public debate, whether you are a community organisation campaiging for better local amenities, or a national charity calling for better provision of health care or housing. Ironically, a law introduced to clean up politics is now being used to shut down organisations that hold politics to account on behalf of the public. SIPOC has many questions to answer arising from this case, particularly on how it deals with civil society organisations that are not political parties, and how it processes complaints from the public. In yesterday’s settlement SIPOC accepted that its enforcement attempts against Amnesty’s ordinary human rights work did not follow basic fair procedures. As a statutory body regulating an essential area of our public life, these cases should prompt a comprehensive review of how it interprets and applies the law in this area. There is also a glaring issue of contradiction between Ireland’s international position on this issue and the situation under domestic law. Globally, Ireland takes a lead on the issue of protecting civil society space, with our diplomats at the UN recently driving a Human Rights Council resolution on the issue and Irish Aid actively providing ‘foreign’ funding to civil society organisations in other countries. At the same time, the EU Fundamental Rights Agency has criticised Ireland for operating funding rules that are similar to those used by repressive governments in other European countries to shut down human rights organisations. The EU Fundamental Rights Agency has criticised Ireland for operating funding rules that are similar to those used by repressive governments in other European countries to shut down human rights organisations. We firmly believe that Ireland’s international position is a true reflection of the values of the Irish people and of the parties in the Oireachtas. We have a vibrant community and voluntary sector and Government should support the widest possible involvement of these groups in public policy making. We believe it is possible to provide an encouraging environment for such groups while retaining the integrity of our electoral system. Hopefully yesterday’s settlement will act as a catalyst for change. 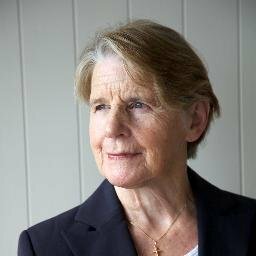 Sr. Stanislaus Kennedy is the founder of Focus Ireland. She spoke at a press conference organised by ICCL on 6 July 2018. This is a very important debate in Ireland today. I want to speak about the area known as charities. Focus Ireland is regarded as a charity, but Focus Ireland is much more than about providing services. It’s fundamentally about challenging the political choices that can lead to homelessness, that can enable people and indeed make people fall into homelessness. The other organisation that I’m also involved with is the Immigrant Council of Ireland. That’s a human rights organisation and a law centre, and while it does work with immigrants it does a lot of work in trying to reform the immigration system. We look back at the history of Ireland and practically everything that’s happened – education, health, youth services – you’ll find they all have their roots in the voluntary sector. They weren’t just providing services, they were also lobbying for changing the system that was causing the problems they were trying to resolve. Richard Titmuss, a leading thinker on social policy, said: the way a society organises itself can diminish or increase the altruism of that society. He wasn’t just talking about services. It was very clear he was talking about the role of civil society in enriching democracy. Take housing: all the changes that have taken place in housing – all the reforms – have been the result of a concerted campaigning for change. The first Housing Act was in 1988 and that for the first time defined homelessness. And that was a very important thing because up to that point there was no thought given to it – but the Act didn’t only define it in terms of people who were actually homeless, but also people who were at risk of homelessness, and that gave rise to further change. It was the result of prolonged political campaigning by Brendan Ryan, supported by the organisations at the time – Simon, Focus and Threshold. That was really a breakthrough because it defined homelessness, but it also addressed the responsibility of the state to do something about homelessness: to provide housing. Up to that the only thing that existed was shelters, hostels and dinner centres. As a result of that Act, funding was made available for housing for homelessness, and the first housing was provided in 1991 by Focus Ireland in Stanhope Green. That Act came about because of campaigning and since has been the basis of the further campaigning that has been going on. We can look at the Children’s Act. That ended widespread street homelessness among children and young people. Again it came about as a result of consistent campaigning and lobbying by child care services and people involved in homelessness. The various amendments were also as a result of campaigning. Look at aftercare of children in the state – there was no provision for aftercare. Young people left care at 18 with no services whatsoever. As a result of 15 years of consistent campaigning by Focus Ireland the changes took place, and for the first time the state had legal responsibility for people leaving care. If we look at the Immigrant Council of Ireland: a number of changes have taken place as a result of its work. One has to do with victims of domestic violence. Women victims of domestic violence – many of them had no status except they were dependent on the status of their spouse. This meant they couldn’t leave the house – it would have been illegal and they could have been deported. ICI lobbied for change and they were enabled to apply for independent immigration status, which gave them much more authority and more opportunity to have their cases heard. Similarly in more recent times there was a coalition of voluntary bodies – a large coalition spearheaded by ICI about the protection of victims of prostitution. That took 6 years and the result was the Sexual Offences Act came into law last year. Many if not most of the reforms which modernised Ireland and made it better and more humane have been as a result of action by civil society organisations. But much more needs to be achieved. If civil society is prevented from being a wellspring of vision for a better society and a force for transformation, where will change come from? I think it won’t come. And society will stagnate, and the injustice will increase and there will be no effort to tackle injustice or inequality, and the powerful groups will predominate. In saying this I’m very clear about the importance of the regulation of charities – trust and transparency. But many charities have taken a lead in this, long before it was legally adopted. And now they’re in the forefront in calling for mandatory legal regulation. I’m also aware of the importance of protecting the integrity of the electoral system and how trust was eroded so much by the donation system. But in clearing up the electoral system, this should not prevent a vibrant, active civil society flourishing and taking an active part in democratic debate. Scandals such as corruption, which so corrupted the planning system and left a legacy of poor quality overpriced and inadequate housing. But it would be an extraordinary and bitter irony if attempts to learn the lessons of this corruption silenced the organisations which are the voice of the people who are experiencing that legacy, of the injustice of poor quality, overpriced and inadequate housing. The Irish Council for Civil Liberties (ICCL) today welcomes the outcome of the legal challenge taken by Amnesty International Ireland against the Standards in Public Office Commission (SIPOC). SIPOC has agreed to fully retract its demand for Amnesty to return a grant that Amnesty received in 2015, years before a Referendum on the 8th Amendment was called, from the Open Society Foundation for work on reproductive rights. The regulator has many questions to answer, particularly on how it deals with civil society organisations who are not political parties, and how it processes complaints from the public. It is clear that this case came about because of a complaint from an individual who did not agree with Amnesty’s work on reproductive rights. Amnesty have been fully vindicated by this outcome, but the reputational damage which they, and the entire human rights sector, have suffered as a result of this flawed decision is profound. That this should have occurred in advance of a highly contested referendum demonstrates the seriousness of this issue for how we regulate democratic participation. ICCL believes this case demonstrates emphatically that laws intended to regulate undue foreign influence on election campaigning cannot be applied to the more general advocacy work of civil society. On the global stage Ireland takes a lead on the issue of protecting civil society space, with our diplomats at the UN recently gathering the necessary support for a Human Rights Council resolution on the issue and Irish Aid actively providing foreign funding to civil society organisations in other countries. There is a glaring contradiction between this strong principled position and the retention of domestic laws which have the effect of stifling civil society at home. This case shows that the law is unworkable and must be changed. ICCL has formed a coalition of organisations who are committed to working with Government to find a better solution for everyone. We are today calling on SIPOC to immediately review its application of the Electoral Act to civil society organisations. We further call on the government to act with urgency in reviewing this deeply flawed legislation. Five civil society organisations will today hold a press conference to welcome the approval by the UN Human Rights Council of an Irish-led resolution on civil society space, and to call for the principles to be applied domestically. The resolution focuses on the importance of freedom of association and defending the rights of civil society to operate freely in democratic societies and is one of Ireland’s ‘flagship’ human rights priorities at the UN level. 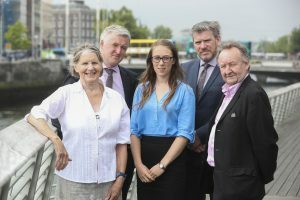 The coalition of organisations – including the Irish Council for Civil Liberties, The Wheel, Transparency International Ireland, Front Line Defenders, and Uplift – say the threat to civil society is not restricted to other regions, and that in Ireland the application of the Electoral Acts, which prohibit any “foreign donations” for ill-defined “political purposes”, to civil society organisations is particularly problematic. For example, in 2017, Education Equality were ordered by the Standards in Public Offices Commission (SIPO) to return part of a €10,000 seed funding donation to the Humanist Association of Ireland. April Duff of Education Equality and Steve Rawson of the Humanist Association of Ireland will today speak about their case for the first time. “Over the past year Irish civil society has experienced increasing difficulties with the application of financial restrictions, designed to prevent foreign interference in our elections, to the general work of civil society. We are particularly concerned that the third party provisions of the Electoral Acts were applied to Education Equality, where the funding was neither “foreign” nor “political”. The keynote speaker at this event will be Sister Stanislaus Kennedy, one of Ireland’s great civic society leaders, who will speak about the essential role civil society organisations have in enriching our democracy and in informing our public policy. She will emphasise how important it is that we defend and protect that role at this time. The problems identified by Irish civil society have been recognised internationally. In January of this year, the EU Fundamental Rights Agency highlighted problems that were being experienced within the EU. In countries such as Hungary, Poland and Romania, overt attempts by Government to curb dissent were identified. The agency also identified a number of states where laws and regulations presented indirect interferences with civil society freedoms, including Ireland. Unlike the position in Central Europe, where such policies are deliberate attempts to shut down dissent, in Ireland we face inadvertent and unintended consequences of poorly drafted legislation including, but not limited to, the Electoral Acts. In response to the growing problem, ICCL has brought together this coalition of civil society organisations to call on the Irish Government to ensure that our international commitments are reflected in our own domestic laws. We note that the UN resolution calls attention to the fact that any restrictions on funding for civil society actors, including so-called foreign funding, undermines the right to freedom of association and calls on states to ensure they are in compliance with their international commitments on this front. “We applaud the DFAT for its ongoing commitment to civil society space at the UN and in Ireland’s foreign policy. It is a powerful statement of the value which Ireland attaches to the role of civil society in democracy. It says that public policy debate is too important to be left to politicians – ordinary citizens and community organisations must be allowed a voice in our public life. 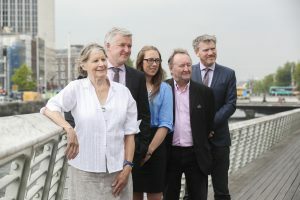 Pictured (l-r) Sr. Stanislaus, Focus Ireland, Liam Herrick, Executive Director – Irish Council for Civil Liberties, (centre), April Duff, Legal Officer, Education Equality, Steve Lawson, Humanist Association of Ireland and Ivan Cooper, Director of Advocacy with The Wheel. Picture Conor McCabe Photography. The press conference will take place at 11am on 6 July at Liberty Hall. Speakers will include April Duff of Education Equality and Steve Rawson of the Irish Humanist Association who will publicly speak about their case for the first time. Sister Stanislaus Kennedy and Liam Herrick will also speak. ICCL has formed this coalition to call on the Government to amend the Irish Electoral Acts. The coalition will launch an official campaign for law reform in this and other areas in September. ICCL is also working with CIVICUS, the international umbrella body for civil society, in carrying out comparative research which will look at models of regulation from comparable countries which strike an appropriate balance between campaign finance regulation and freedom of association. This will be published in the autumn.